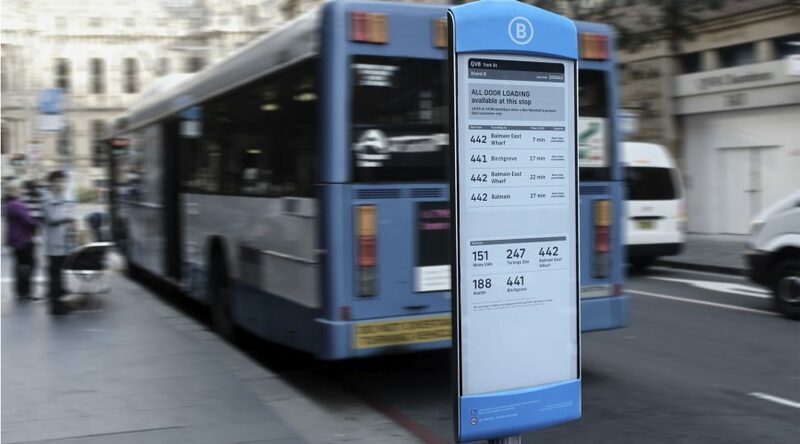 There are more than 27,000 bus stops across Sydney, but only two like these, raves Australia’s Ten Eyewitness News, reporting on eStops, the real-time bus information boards installed at two of the busiest bus stops in the city. 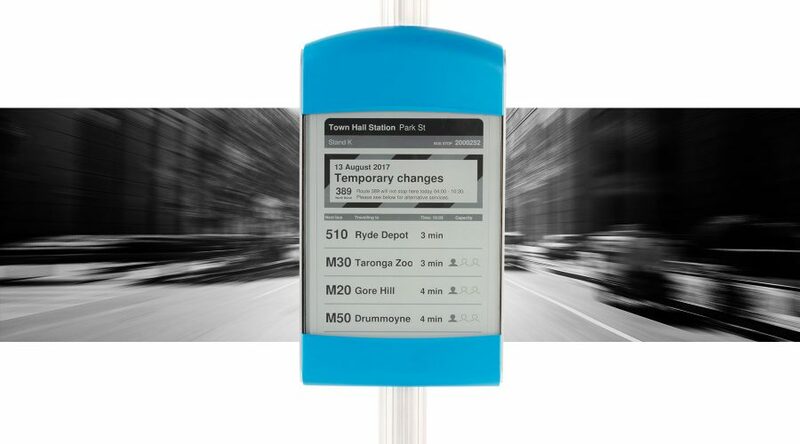 The eStops, developed on Visionect’s energy-saving electronic paper technology and designed by Mercury Innovation, make it easy to deploy an efficient, real-time public transport information system, giving customers the information they need to make decisions. 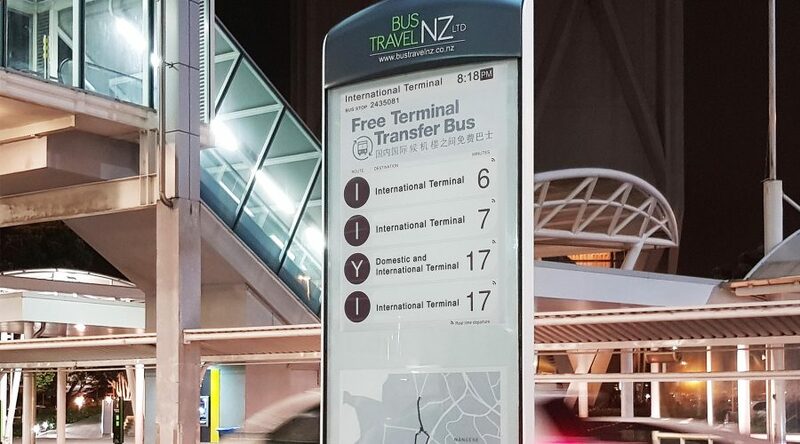 And rolling out it is: after a successful 6 month trial at two of the city’s busiest bus stops, the eStops will now be deployed on Sydney’s most in demand bus route—the 400 via the airport, covering both domestic and international flights. Want to emulate Sydney’s success story? Order the eStop in Visionect’s online store.